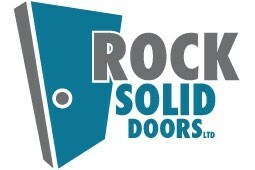 Rock Solid Doors Ltd - Windows/Doors/Conservatories based in St Albans, Herts. Who are Rock Solid Doors? We are a small Independent Door fitting company and unlike the other larger online Businesses who sub contract out their installations we Guarantee that we will fit your new door ourselves. By selecting Rock Solid Doors, you will only ever be dealing with The Business owners Darren or Paul who both hold the MTC Card for Surveying and Fitting. They will quote you and carry out your professional site survey personally. We will also Guarantee our fitting for 10 Years unlike the usual 2-5 Years.